Located 22 miles northwest of downtown Baltimore, The Preserve at Owings Crossing Apartment Homes offers a relaxed living experience with short drives to the city. Our Reisterstown, Maryland, apartments are located near I-795, I-695, and State Route 140. 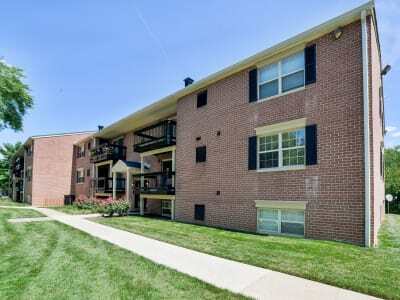 We also offer convenient access to the Owings Mills Metro Station. In addition to our central location near major transportation, your new apartment boasts short drives to local employers, schools, and recreation. We are located near Camp Fretterd, a training facility for the National Guard, Air Guard, and Maryland Defense Force. We also boast short commutes to BWI Airport as well as Northwest Hospital and Stevenson University. On the weekends, visit the shops and restaurants in the Reisterstown Historic District or shop and dine at Foundry Row. Contact The Preserve at Owings Crossing Apartment Homes to set up your tour of our Reisterstown, Maryland, apartments.